Tracking your fitness is the only true measure of progress. And the only way to push yourself to see real results. Fitness trackers are perhaps the best thing that ever happened to the health and fitness industry. You no longer have to keep a handwritten log to evaluate your performance. Now you can have something as simple as a wearable tracker. There are lots of high-end models on the market. They make it easy to assume that cheap brands are not reliable. While this can be true about some of these brands, it doesn’t mean you cannot find a useful and practical fitness tracker for the money. Today, we look into the Best Cheap Fitness Trackers. These models are presented by brands that have a reputation for producing great pieces. We hope this list will let you save cash and stay fit. Why do you need a Fitness Tracker? The calories you burn in a workout is essential, when you are looking to lose weight. You will need your tracker to be highly accurate so that you will not have false hope or eat more calories with the idea of filling up on the ideal intake of the day. One of the must-have features in a tracker is logging the steps you take every day. Some will offer full-day tracking while others only track steps over a specified period. Others will even give you the distance you walked. What you also need to watch for is the accuracy since you don’t want a device that will record every movement you make including a wave of the hand. You will need your new fitness tracker to integrate with your smartphone or computer. It gives a detailed look at your performance for the day, the week, month, etc. You will also get to challenge friends, set goals, and keep up with the challenges you set forth. When it comes to compatibility, your tracker must sync with your handset, whether it’s an Android, iOS, or Windows device. Even an affordable fitness tracker needs to meet the expectations of durability. You will need to look into a model that applies to your fitness activities. This means getting a tracker that will live up to the elements if you spend your days in the outdoors like hiking, swimming, surfing, etc. A tracker that has an IP67 water resistance rating will be sweat, rain, swim, and splash proof. It will be more applicable to many activities without the need to remove it when you need to wash your hands or take a shower. More and more fitness devices are now able to monitor heart rate. With an affordable tracker, you may not always find this feature, but it is useful for checking your cardiac activity. This is more so if you are in your senior years or training for professional sports. With a heart rate monitor, the calories you burn are calculated more accurately. Some monitors will give you rates 24/7 while others will give your resting heart rate in the morning before it starts tracking. Why we like it: It tracks your activities 24/7 all year long as it has a replaceable battery. It is a perfect pick if you don’t want to miss any data for even a single hour. Garmin vivofit Fitness tracker is the ultimate all-day tracker. With a battery that can last a year, nothing is keeping you from being active and tracking your progress every single day. 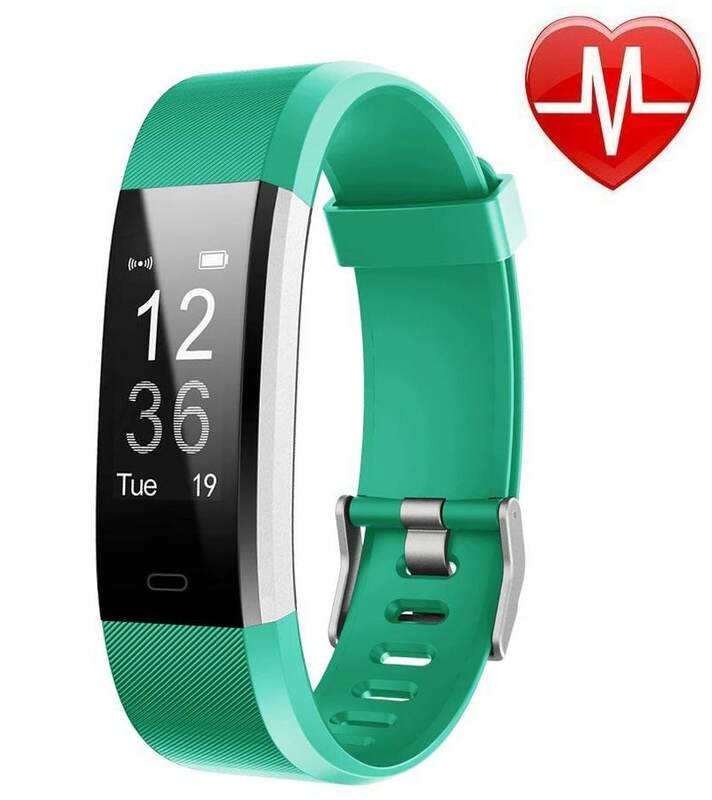 This device works much like the Garmin vivosmart HR, but instead of having an inbuilt heart rate monitor, it can sync with a chest heart rate monitor. That’s why it comes at a much cheaper cost, but you get to have accurate tracking of your steps, distance, calories, burned, and sleep activity. You can see your activity and the time all on one display. This means you can give up wearing a watch when you want a more functional device on your hand. This device is automatic in that it learns your activity level. Every morning, you will have new goals and new personalized challenges set by this tracker. It is more than just a tracker as it will help you achieve fitness goals and improved life in the process. This tracker is water resistant. You can shower with it, and you don’t have to mind when caught in the rain. The battery is also water resistant so its life won’t be affected by a little cold. When it’s time to turn in, you will be able to turn on the sleep mode. It will give you data of your sleep quality on the Garmin Connect app. Garmin vivofit has a move-bar that will alert you when you have been inactive for an hour. All you need is to take a few steps to reset it. 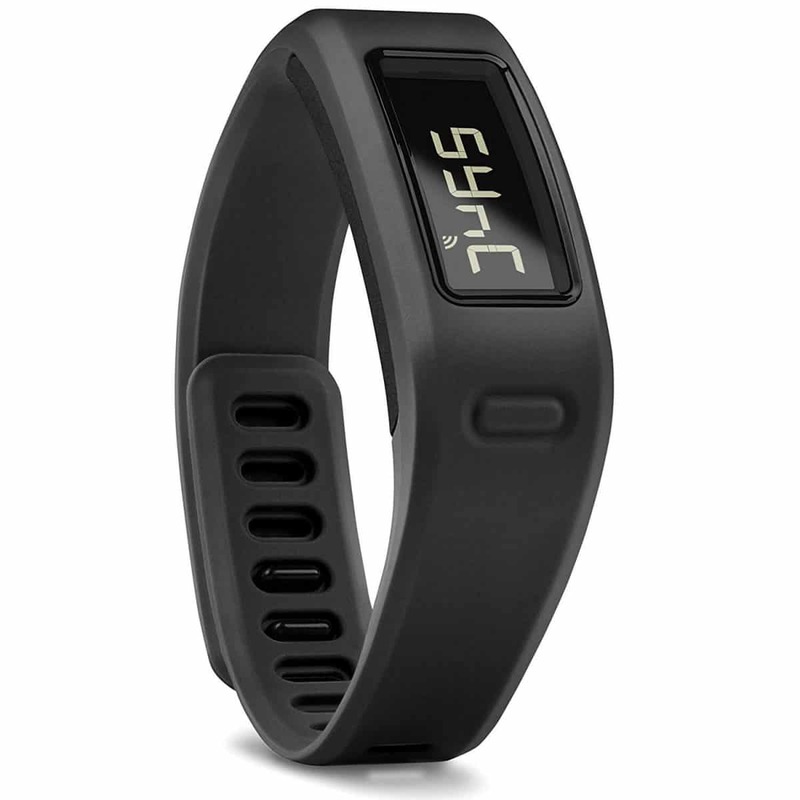 Garmin vivofit Fitness Tracker is an easy model when starting your fitness journey. The reminder is just a red bar, but it all goes down to taking more steps that help your body. It is a tool to switch your life habits for the better. If all you need is a little nudge in a device you will never have to take off, Garmin vivofit Fitness Tracker is a serious consideration. Why we like it: This product can track up to 14 sports activities. 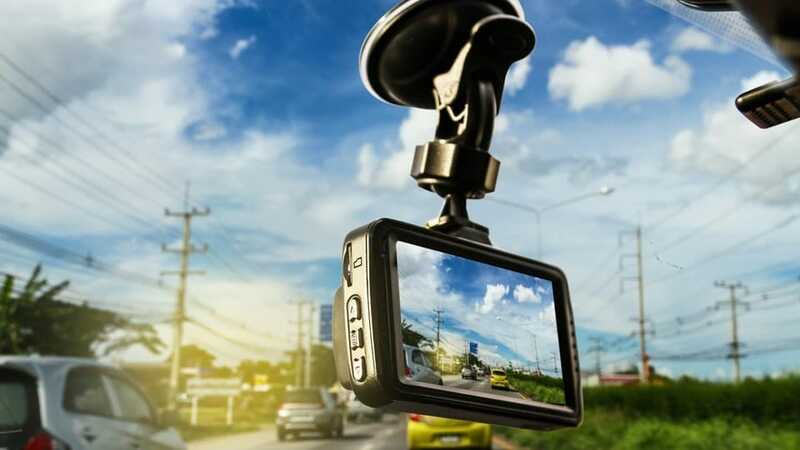 It also has provisions to use with your phone including alerts, reading of text messages, and controlling the camera shutter feature on your phone. LETSCOM is one of the few affordable fitness trackers that can track more than just steps. With 14 sports modes, you can have data for running, walking, hiking, dancing, basketball, spinning, tennis, yoga, etc. The built-in heart rate monitor is essential in ensuring it provides correct information about your sports activities in real time. It can connect seamlessly to your smartphone’s GPS to provide detailed data about your route, pace, and the distance. Your phone will help map out your route, and you will always know where you are. You will like that it has a clock face and an OLED display that you can see clearly in the outdoors. As soon as you turn the screen towards you, it will light up. This is one of the thoughtful features that makes LETSCOM a top pick since you don’t have to tap it. This model is feature-packed. It has SNS, SMS, and call alerts. The screen is wide enough to give you information about the caller. It provides a function for reading text messages directly from the screen. Not to mention, it can also control the shutter feature on your phone’s camera to help you take better selfie shots. LETSCOM comes with more features than you could bargain for. You select from the different modes to suit your activities and get all your information synced to the companion app. The app is reliable but it only works with smartphones. But you get accurate results of the heart rate and activity level. Why we like it: This band provides real-time audio coaching to help with personalized training. It allows you to workout at your best time and measure your progress and performance. MOOV NOW is a form of a wearable coach as it syncs with your phone and is with you during all activities. It is an excellent pick for running, cycling, swimming and aerobic exercises. It has three times the sensors in other trackers. The sensors use 3D Omni Motion Technology which allows it to track your exact movement such as pace, laps, strokes, and style in sports such as swimming. You can wear it on the wrist or ankle regarding the type of activity you are undertaking. You will get proper coaching and training tutorials that are fun, informative, and more so encouraging. It will help to train your muscles harder, keep your body in the right form, and know when to change an action when you are exerting your body in a manner that could lead to accidents. This tracker is water and dust proof. You can undertake intense outdoor activities without compromising its functionality. With the 6-month battery life, it is a tracker you will never want to take off. It can also track sleep activity and give a detailed report on the companion app. 3D motion capture is an innovative concept. MOOV NOW has executed it well with to provide you with an intuitive way of meeting your fitness goals. Its audio coach also comes in handy to help you perform better since it gives you information about your form and movement in real time. Why we like it: It comes in a beautiful design with different band colors to suit your style. It is minimalistic, but it tracks all the important everyday activities. This is a great option for women. Every active woman needs a stylish band on their arms. Misfit Ray is all about providing a nice looking product that is practical and aesthetically appealing. It can track steps, distance, calories burned, and sleep activity. It is a fashionable item thanks to the 8mm spring set that allows it to be worn with watch bands, pendants, and bracelets. Misfit Ray can also track other sports activities including tennis, swimming, cycling, basketball, and soccer. You get all the fitness data synced to your favorite fitness apps like Fitbit, MapMyFitness, LoseIt, Runkeeper, and IFTTT. It is compatible with numerous devices including Samsung models, iPhones, and Android 4.3 and above smartphones. Talk of taking a swim and you will be glad to take the Misfit Ray with you. It is waterproof to 50 meters meaning you can also dive with it. We like that it has alerts for SMS and calls and you can set alarms and reminders. It can also control features on your phone such as music and connect to apps like Spotify, Logitech Harmony, Nest, etc. Not forgetting, it can also help with the shutter control function when taking selfies. The battery is also commendable since it does not need changing for up to six months. 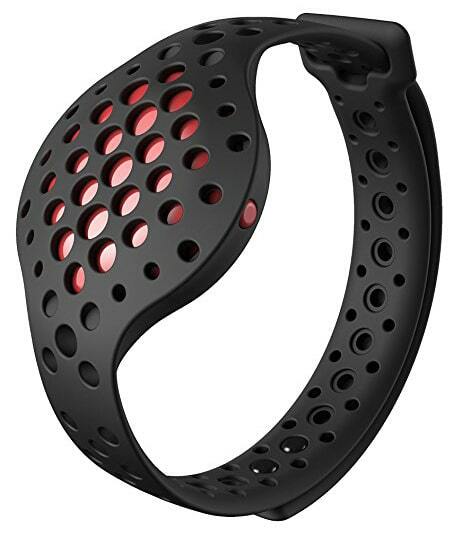 Misfit Ray has received lots of praise because of its stylish design. However, the alarm is not its best feature since it vibrates for such a short time that it will be off before you realize there is an alarm meant to wake you. Otherwise, for the other features, it is an excellent pick for women. Why we like it: It is a basic band but is very breathable and comfortable to wear all day and night. Xiaomi Mi Band 2 makes it to our top best owing to its comfort features. Some bands irritate the skin, but with Xiaomi, you are assured of comfort even when the band is wet. We always recommend wearing a dry band. This tracker will record data for your steps, calories burned, sleep activity and distance. The heart rate monitor can be activated for select activities such as running and walking. It will not track your heart rate when doing any form of exercise only when it is on demand. But since you don’t need to press any buttons, it will record every activity automatically and sync it to the Mi Health app. The OLED display is bright enough that you can see the readings in sunlight. It is a scratch-resistant glass that will stay in good condition for a long time. A button on the band allows you to toggle between the activities you have been tracking for the day. The sleep monitor can recognize your sleep activity such as REM, light, and deep sleep. It can establish a pattern that will give you information about your sleep quality. With an IP67 water resistant rating, this fitness tracker will not get damaged when exposed to direct water splashes, rainwater, dust, and cosmetics. Xiaomi Mi Band 2 has useful features, but we find the app is a bit limiting. You cannot share your progress with friends on the app but only on Twitter and Facebook. But you can sync data with Google Fit and Apple Health. 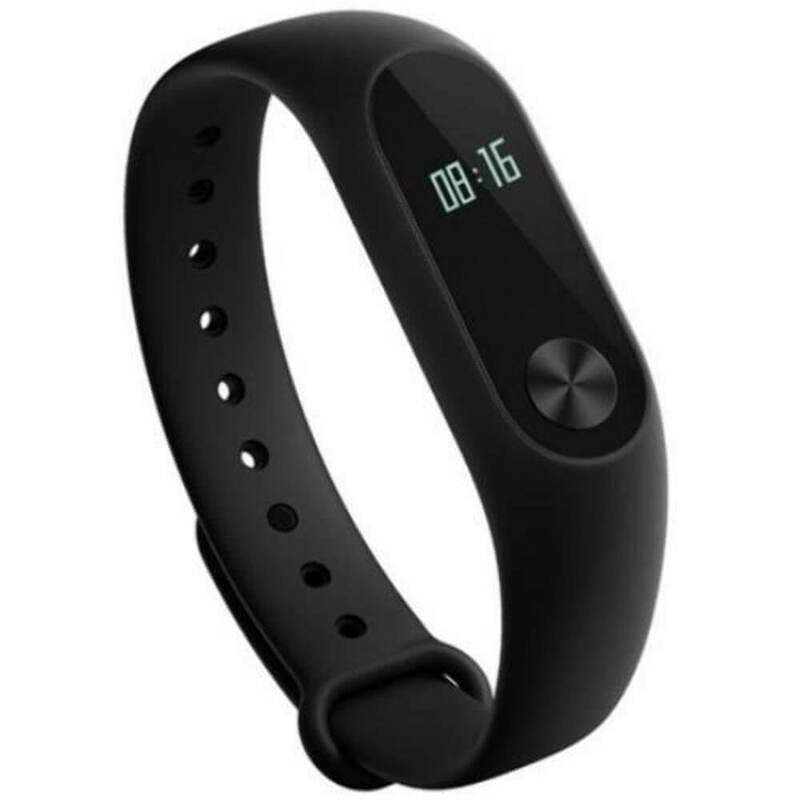 The inclusion of an OLED screen, real-time watch, and heart rate monitor are some of the features why Xiaomi Mi Band 2 deserves a place on the best cheap fitness trackers. Why we like it: This device gives you all day tracking for all the essential specs at this price rate. It syncs automatically with iOS and Android devices, and it can also connect to computers via USB. 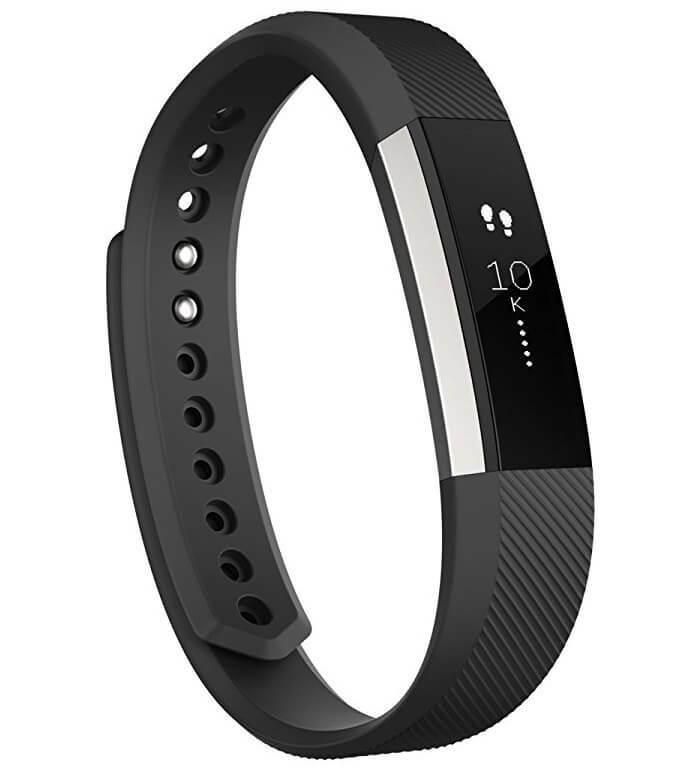 The Fitbit Alta has been designed to cater for all day tracking needs. It has an inbuilt pedometer that tracks your steps, calories burned, active minutes, and reminds you to start moving when you’ve been sitting for too long. It is the best motivation for being fit that you could ever want on a budget. 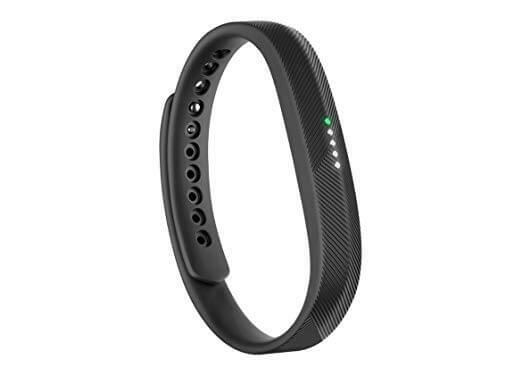 With the auto-recognition feature, this band will recognize your workout like running and aerobic activities such that it will record and sync the information with the smartphone app. When running outdoors, you don’t need to keep your phone with you. It gives you call and text notifications on the OLED screen. This way, you won’t miss any vital notification of the day. And when it comes to your sleeping time, you get to turn on the sleep mode which tells you how well you sleep. It provides info about sleeping trends so that you can attain a better sleeping pattern for improved health. You will no longer have to be startled with a loud alarm since you can set a silent alarm on the Alta. It vibrates on your arm waking you up in the process. This is a feature you can expect with Fitbit bands like the Fitbit Flex 2. The Fitbit App is a unique companion app that is one of the most widely used fitness apps in the world. Alta allows you to sync your information with the Fitbit app that is available for Android, iOS and Windows devices. This app gives you all day data on one dashboard so you can know all your activities for the day. You can use the personalized video workouts, set goals, and challenge friends. It also provides you with detailed sleep information like Rapid Eye Movement (REM), deep sleep, and light sleep details. Although you don’t get some features like GPS and heart rate monitor, Fitbit Alta is an excellent companion. It is highly accurate when it comes to calories and steps. You will love that it does not have any irritating features like an itchy band. It is comfortable, and you can wear it all day and night. Why we like it: This tracker can be worn discretely without compromising on accuracy. It syncs wirelessly with smartphones, tablets, and computers for a detailed look at your daily activities. 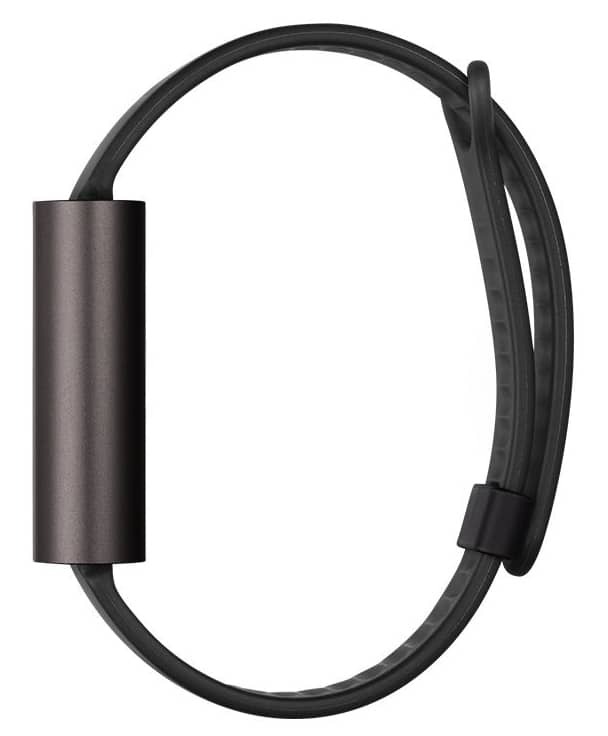 If you don’t want something that will scream “I am wearing a fitness tracker,” the best choice will be the Fitbit Zip Wireless Activity Tracker. This model will clip just about anywhere including your belt, pocket, bra, etc. This way, it won’t be screaming for attention. It tracks your steps, calories burned, and distance. To see your progress, you just need to tap on the screen, and the numbers will show up crisp clear even on a sunny day. It lets you sync with the Fitbit app so that you can set goals and track your progress in your keep fit journey. With a 3v coin battery, the Zip model will give you daily use for up to six months or until when the battery dies and needs changing. It lets you skip the hassle of having to recharge with a USB cable after very few days. The Fitbit Zip is sweat, rain, and splash proof. You can be out all day and never have to run for shelter when it starts raining. You just need to wipe it dry it has been drenched for continuous functionality wherever you are. 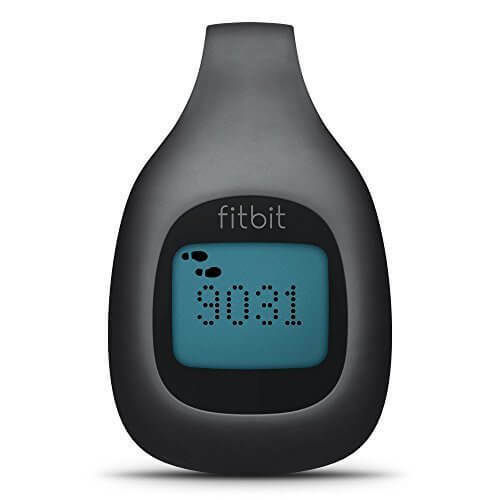 Fitbit Zip Activity Tacker is a simplified device that will get you moving more every single day. You can track steps, distance, and calories burned which are some of the specs you will need for your journey to a healthier lifestyle. Why we like it: Apart from the usual three counters, this model also tracks water activities sports including swimming, surfing, etc. It can be hidden in other accessories like pendants, bracelets, and bands. Do you wish you could take your tracker when swimming in the pool or the ocean? Fitbit 2 takes care of your wish by presenting their water-resistant tracker. This device is wearable around all kinds of water activities without damaging the interior parts. It is one of the slimmest and most stylish devices we have seen since you can wear it as a bracelet, pendant, or band. It will track steps, distance, and calories burned. It also automatically recognizes swimming, aerobic, and biking activities like the Fitbit Alta, but not as advanced as the Garmin vivosmart HR. You will be able to see a detailed report of all your activities using the Fitbit app. It shows you the total steps, miles, calories, and progress to your daily goals. Fitbit Flex 2 comes with intuitive color-coded LED lights that give you crucial alerts like when your phone is ringing or when you have received a text message. This means you won’t miss a call when your phone is in silent mode. The Fitbit app is always the most intuitive feature we have seen with Fitbit models. This dashboard allows you to share your activities and compete with friends. Flex 2 also has a sedentary reminder that will get you working out and moving. From the stylish design to being waterproof and automatic recognizing of activities, the Fitbit Flex 2 strikes the nail on the head when it comes to thoughtfulness. You will receive important notifications as well as keep track of your progress using iOS and Android smartphones. It may get damaged if soap and household cleaning agents get stuck in the components so you should not use any of these products to clean it. Plain water is recommended for cleaning and rinsing. Why we like it: This fitness tracker has a heart rate monitor that provides more accurate results regarding the calories you burn during all your activities. Garmin is a top-performing brand in the fitness wearables industry. 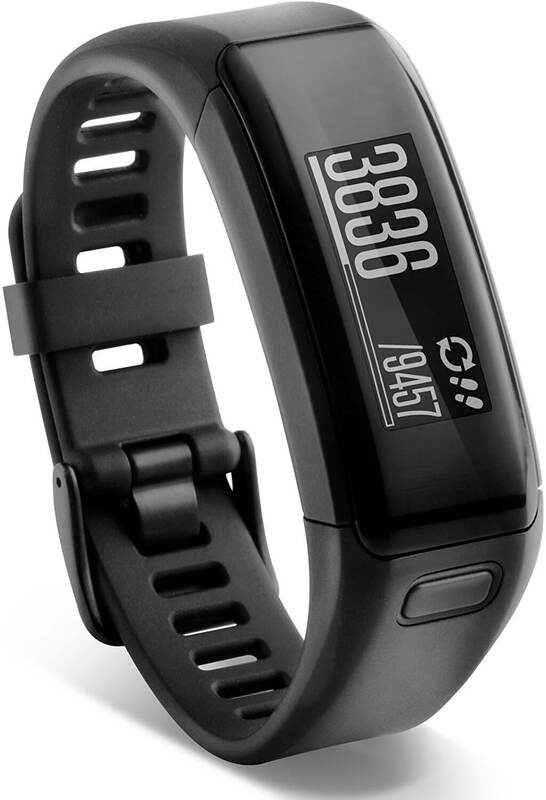 The Garmin vivosmart HR Activity Tracker represents one of their most sophisticated designs. You will surely love this brand, if you are a fitness enthusiast. Garmin explores Elevate Wrist Heart Rate Technology. It can track your heart from your wrist so that you will not need to sync with a chest heart rate monitor. This means it will accurately gauge your cardiac activity; thus giving you more precise calories burned results. This device can recognize unique activities like climbing the stairs thanks to its barometer altimeter. It can also show activity intensity and intense minutes when going all out in boot camp activities. This way, you can measure results against those recommended by top health organizations in the world. We like Garmin vivosmart HR particularly because of its smart notifications. The transflective memory-in-pixel (MIP) display is beneficial since you can see alerts even in dazzling sunlight. It has vibrations for text messages, calls, Whatsapp, email, and other social media alerts. By syncing with the iOS and Android Garmin Connect Mobile, you can beat your daily goal, share your activity, and connect with friends. You can also sync your Garmin account with Fitbit app where you can record your meals and have a good comparison of the calories consumed and the calories burned. Garmin is a band to behold thanks to the capability of accurate heart and calorie counting. It is your go-to model when you want to get more out of your tracker without putting a deep in your pocket. Why we like it: Now you can map out your route for running. It has a workout coach that will help you every step of the way when training for athletics. When it comes to professional training, you will need a device meant to elevate your goals and resistance. The Huawei Band 2 Pro comes with a running companion that tracks your heart rate, distance, and calories burnt in real time. You will get a workout data report that has VO2 max which is the optimum rate for your lungs, heart, and muscles. It also shows data for Training Effect so that you will know the changes in your cardiovascular and muscular systems. Plus, you get advice about the recovery time. You get accurate tracking of your route using the built-in GPS. 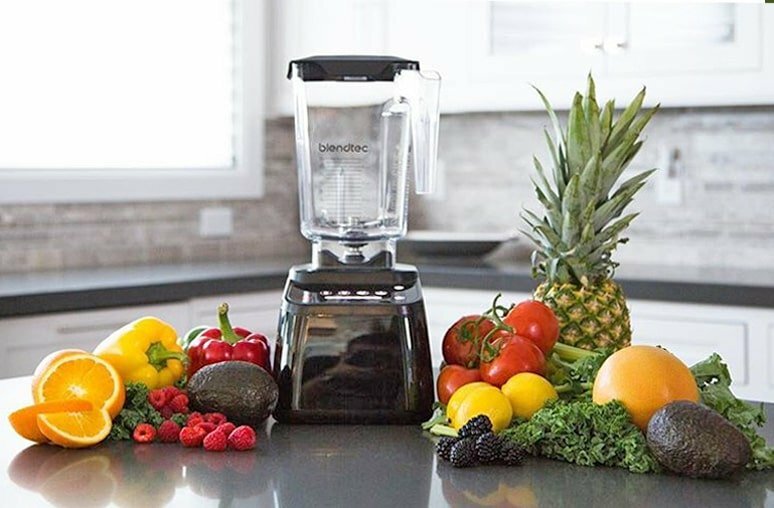 If you train 4-5 hours a day, this device will give you five days of battery life and 21 days of standby power for whenever you are ready to start training. Huawei Band 2 Pro will sync all data to the Huawei Health App. It has intuitive features that provide you with in-depth details about your workout including data for distance, route, heart rate, VO2 max, and sleep activity. The sleep tracker provides professional information including quality of sleep, REM, light sleep, deep sleep, and advice that will help you sleep better. This band will also allow you to view messages, reject calls, set and snooze alarm in real time. 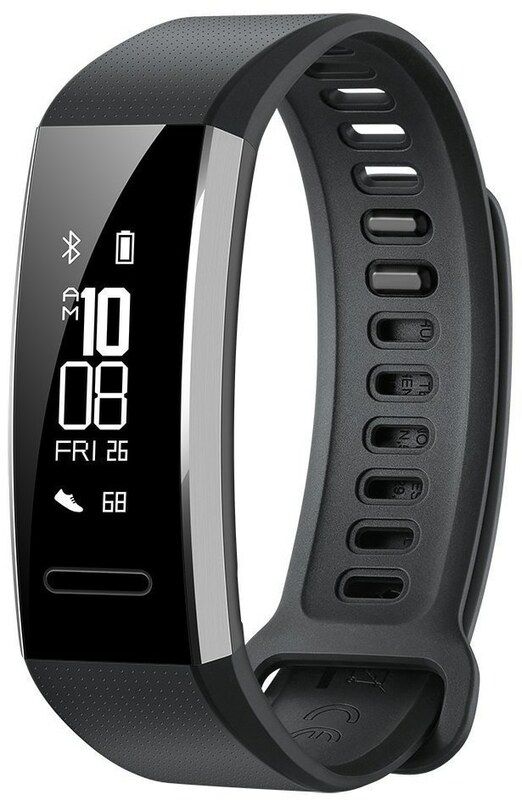 The Huawei Band 2 Pro is a perfect companion for runners. With the companion app, you will be able to track more than your steps as it offers more details than you could get with a running tracker for this price. You will love all the extra features including being swim proof. When looking for the ideal fitness tracker to keep tabs on your activity level, you will need to have a few considerations at heart. This is especially true when looking for a reasonably priced fitness tracker. It is not a good idea to get the first tracker that fits in with your budget. You must bring the “why” in the equation. If you are starting your journey to fitness, you will need a basic tracker for steps, calories, distance, and sleep. There are however people who says they don’t work, which we don’t agree with. 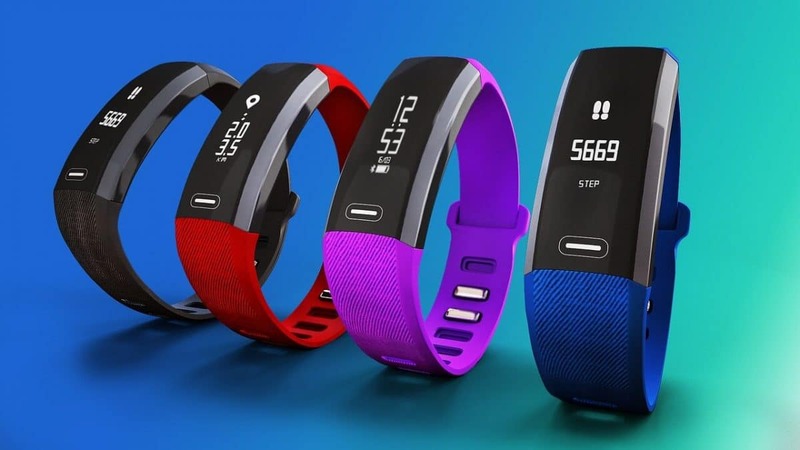 But if you engage in different activities like aerobics, swimming, or cycling, you will want the tracker to include features that support that specific sport like the Fitbit Alta and Flex 2 that have automatic recognition of activities. And for the professional runner, you will need to consider a model with inbuilt GPS like LETSCOM or Huawei Band 2 Pro. Without the correct information, your progress is not always portrayed the way it should. A good fitness tracker will use the right mechanics for accuracy. These are such features like a useful accelerometer, barometer, altimeter, etc. for proper tracking of your activities. Although you may get different results with different trackers, yours should not be way off. Your fitness tracker is one of the items you will not mind having on your hand all day. That’s why you will want to consider a model that sits well with your style. Some devices are configurable into accessories like the Misfit Ray and Fitbit Flex 2. This way, you can wear them like bracelets, pendants, or in watch bands. Some trackers can also be worn on the ankle and others can be clipped onto your clothes. The more comfortable it is, the more likely you will keep it on. How long does the tracker stay on before it needs recharging or a change of batteries? An energy efficient device will not require recharging for at least four days. Replaceable batteries are favorable since some will never need replacing for even a whole year. You will want to find a balance between the functionality and the battery life of the fitness tracker that you choose. Sometimes you are so engaged in your work that you forget to get a little break and stretch those muscles. A tracker with a reminder nudges you to get on your feet such that you will never miss a workout again. It is such a little feature but useful indeed. With lots of fitness trackers on the market, choosing the Best Cheap Fitness Tracker is not a walk in the park. 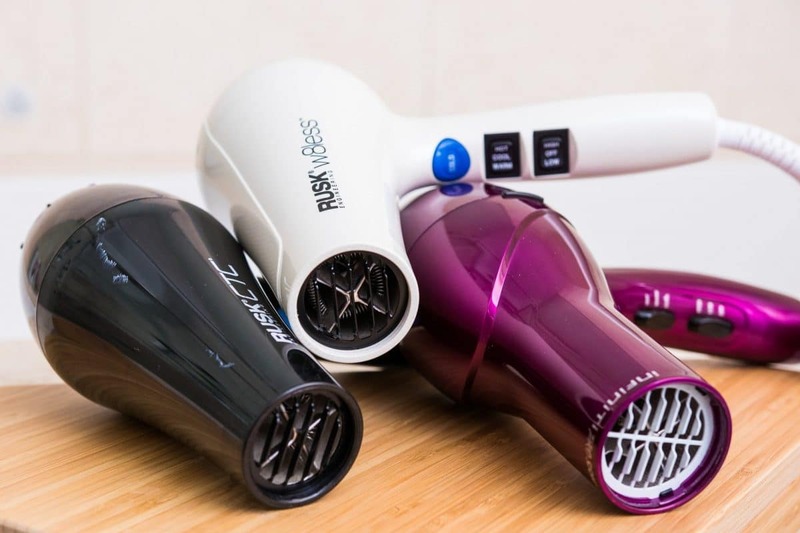 We have rounded 10 of the most functional and practical products that you can pick on a budget. These are trackers that will work for different categories. You will find the best cheap fitness tracker for running, swimming, for multiple sports, personalized training, etc. We believe it is now going to be an easy pick for you.